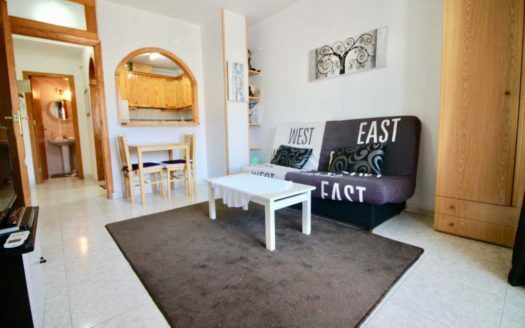 Lovely apartment with sea view in Playa Flamenca. The property is bright and open with a fully equipped kitchen. Two bedrooms and two bathrooms. One double bedroom with en-suite, fitted wardrobes. 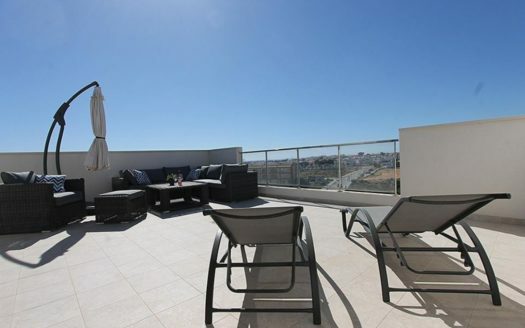 Large balcony with sea views that you access via the living room as well as one of the bedrooms. The apartment is furnished nicely. The urbanization has two lovely pools with green areas. 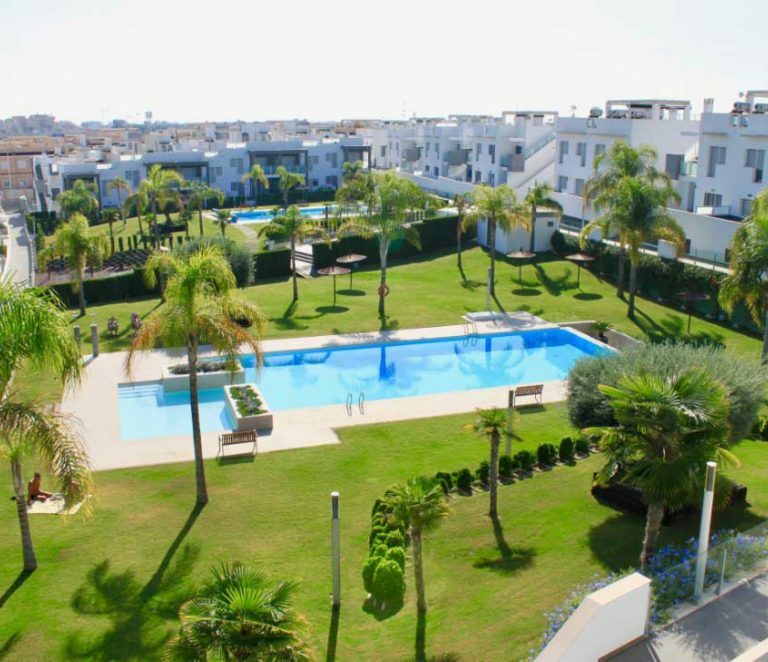 Close to Playa Flamenca’s commercial area with restaurants, bars, grocery stores. Walking distance to the nearest beach. Playa Flamenca’s popular Saturday market is reached by 5 mins walk. 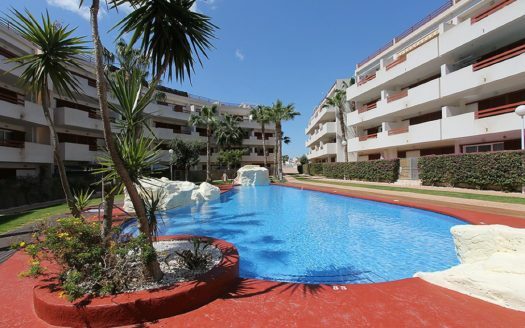 La Zenia Boulevard with shopping, activities, as well as restaurants and bars even this in the immediate area. 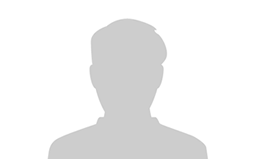 All in all, a perfectly located property well maintained.